Iraq is again struggling to form a new government. Fifteen years after the U.S.-led invasion, has democracy taken root? There are distinct signs of progress: Downtown Baghdad is bustling, and violence in the capital is at its lowest level in nearly a decade. Reconstruction of Iraq’s cities and towns is now joining oil production as one of the biggest drivers of the economy. In Mosul, which was under the brutal control of ISIS for several years until the militant group was defeated last summer, women have shed their Islamist-imposed burqas, and they now freely mingle and bargain with men in marketplaces. But 15 years of war, sectarian violence, terrorism, and poor leadership have left deep scars on Iraq and its population of 37.2 million people. Corruption is rampant, nearly a quarter of Iraqis are in poverty, and 10 percent remain displaced from their homes. In Ramadi, thousands of people live in tents next to the rubble of their houses. Many Iraqis are dispirited, angry, and deeply cynical about their government. “Think of the young man sitting around with no money, no home, and no job,” says regional Gov. Ibrahim al-Janabi. “It seems impossible he’s not going to start looking for someone to blame.” Turnout in the May 12 election was just 44 percent, the lowest it has been in the four elections since 2003. Politics in Iraq is fragmented—nearly 7,000 candidates from 87 parties ran for 329 seats in the parliament—but it still produced a clear winner: Muqtada al-Sadr, the firebrand cleric who once led the Shiites’ Mahdi Army against U.S. coalition forces. Formerly close to Iran, he has repositioned himself as a nationalist who wants to rid Iraq of both Iranian and U.S. meddling. His Sairoon bloc, which took 54 seats, includes secular communists and Sunnis. Sadr didn’t run personally, so he won’t be prime minister, but he is acting as a power broker. Second place went to the Fatih alliance of Hadi al-Amiri, a Shiite militant whose Badr Organization has strong ties to Iran—he actually fought on the side of Iran during the Iran-Iraq war of the 1980s. Amiri’s party got 47 seats and wants an alliance with religious parties. Outgoing Prime Minister Haider al-Abadi, whose secular Victory alliance came in third with 42 seats, is scrambling to retain any power. The recount, expected to take months, is in crisis, thanks to a fire in a Baghdad warehouse containing a million ballots. 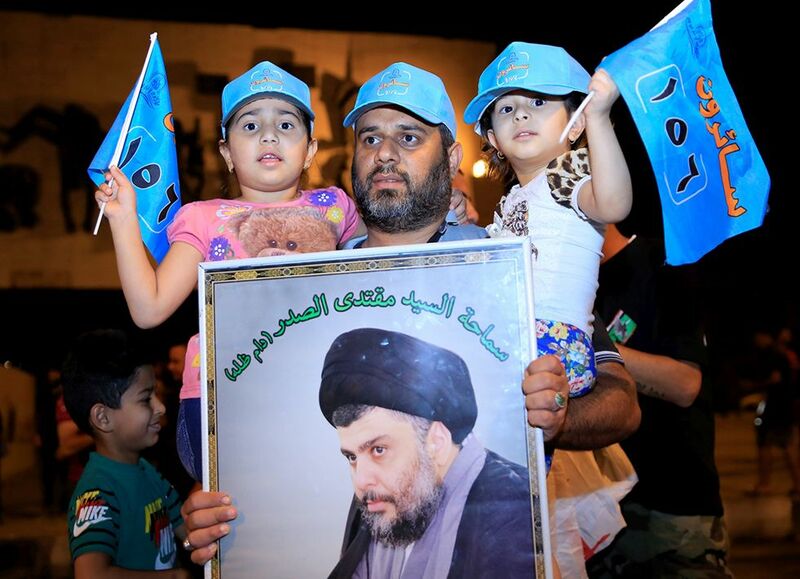 Most of the paper ballots were spared, but the equipment to count them was destroyed, and Sadr said his opponents were trying to subvert his victory. “Certain parties are trying to drag Iraq into civil war,” he said. Why aren’t there new leaders? Iraqi Kurds had huge setbacks last year. Their September referendum on independence for the semi-autonomous Kurdistan region produced a resounding win for the pro-independence movement. But the vote was held against the wishes of both the Iraqi government and the Kurds’ foreign allies, including the U.S., and it lost them significant political clout within Iraq and goodwill abroad. The following month, Iraqi forces seized control of the city of Kirkuk and surrounding oil fields, leaving Iraqi Kurdistan with none of the territory it had won since 2003. In the May election, the two largest Kurdish parties, the KDP and PUK, won a combined total of just 43 seats, leaving them with little leverage. Some frustrated Kurds want to revolt against Baghdad, while others have sunk into political apathy. How long will U.S. troops stay?